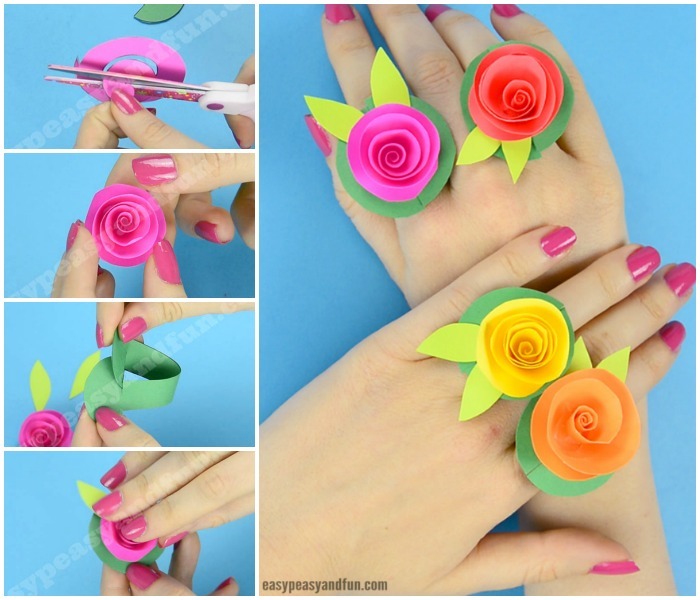 If you liked our previous paper rings or rolled paper flower ideas, you are going to love these adorable flower paper rings (and we have a handy template to make these easy peasy). 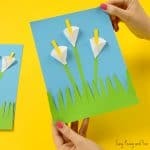 These are amazingly pretty and are actually super simple to make. 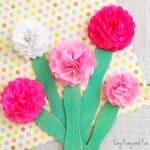 You can make them in all colors, but we really do love the vibrant spring colors the best. 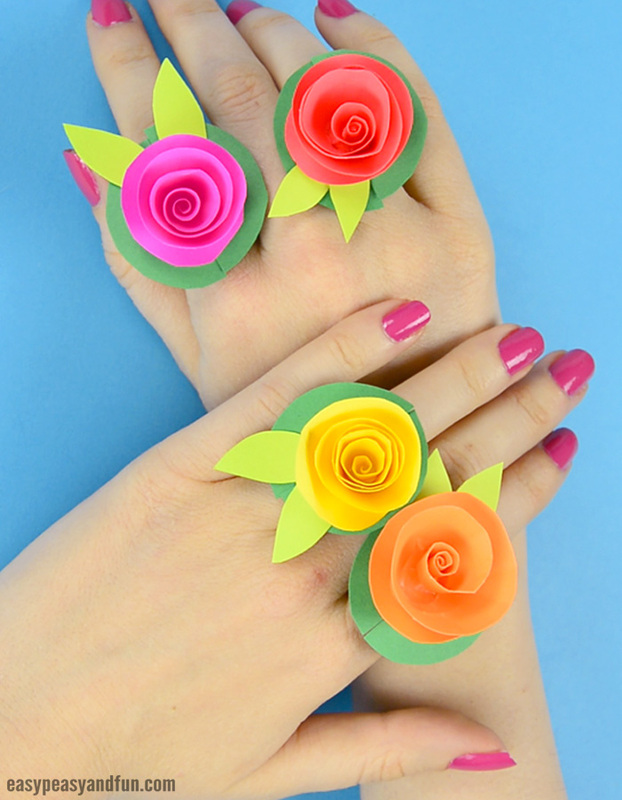 We do love a nice looking paper ring (do check our printable bug paper rings too, they are perfect for spring). 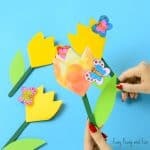 These are an adorable classroom craft (just think about the Mother’s day, these along with a nice personal card, will make the most adorable little project and gift. 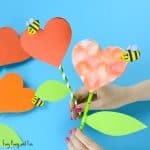 They are also fun to make at birthday parties or as an after school activity to do together with your kids. 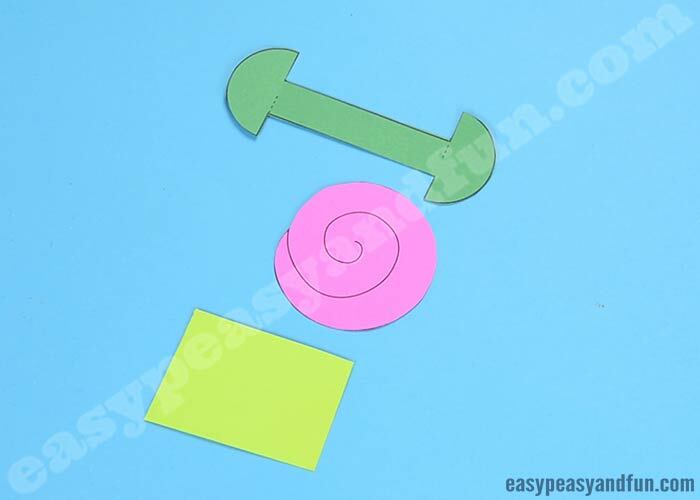 No need to stick with just the rings either, use our swirl flower template to make embellishments for your hair pins, bracelets and other piece of jewellery (paper ones and other). Ready to make a set of colourful rings of your own? 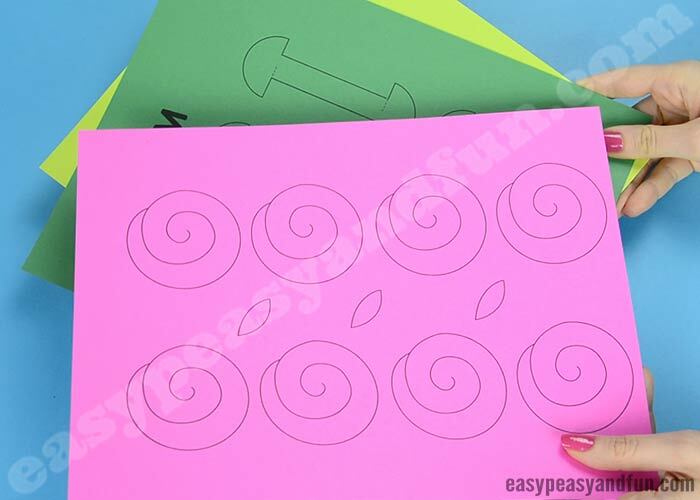 Print the template, grab the most colorful paper you can get your hands on and craft! colorful paper for flowers we use both construction paper and regular paper and both work out OK – in this one we used Astrobrights brand as the colors are just so pretty! 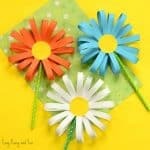 glue dots – you can work with regular white glue too, but glue dots are way more efficient and easier to use in this specific projects (kids love them too). Alternatively you can also print these on white paper (heavier) and have the kids color and decorate their own rings however they see fit. Print out the template (it’s at the end of the tutorial). Print the flowers on a flowery color (the one we are working it has a fitting name – “Outrageous Orchid”) and the ring base on green. The base is best printed on heavier paper, while flowers can be printed on regular weight (print) paper too. Cut out the templates. For one ring you will need one base and one swirl. 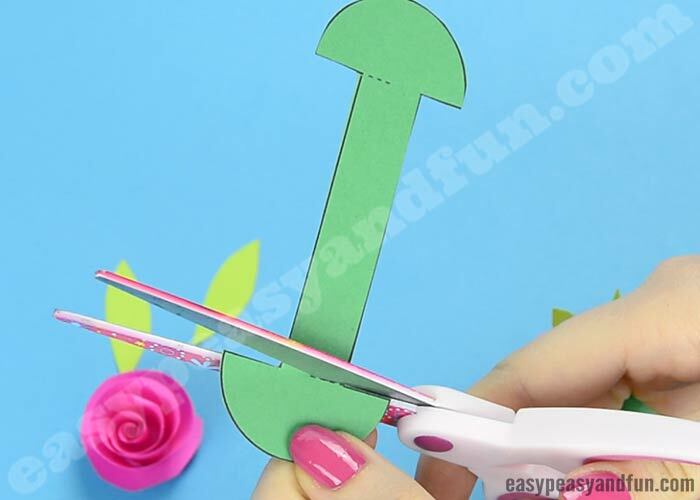 You can also trace the leaves (they are included on the sheet with the flower) pr cut them yourself, without the use of the template. Cut into the swirl – follow the line. Now if you are using the template, the lines might show a bit on your ring. Now comes the part that seems tricky, but it really isn’t all that hard. Start rolling the spiral, from the outer edge (it might be a bit tricky to start, but rolling it isn’t all that hard). Continue rolling along the spiral. 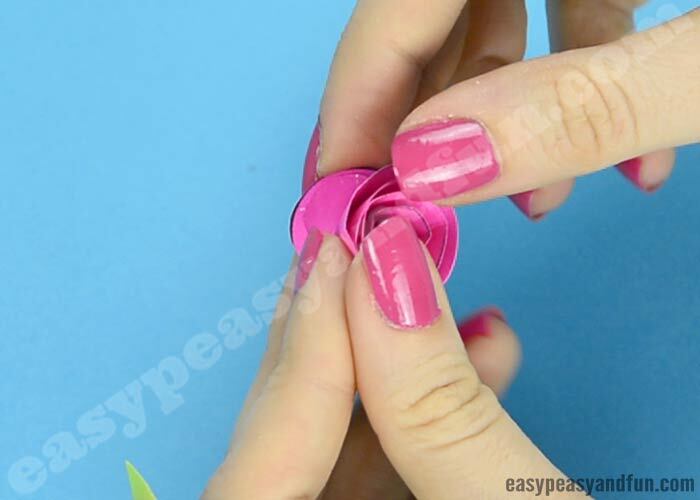 Once you get to the end – press a large glue dot on the last bit (the center part of the spiral). 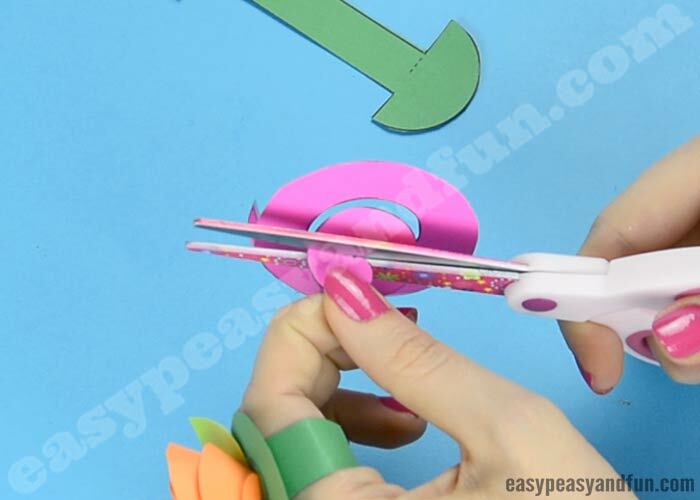 Press the rolled part onto the glue dot (the glue dot is the base for your flower). 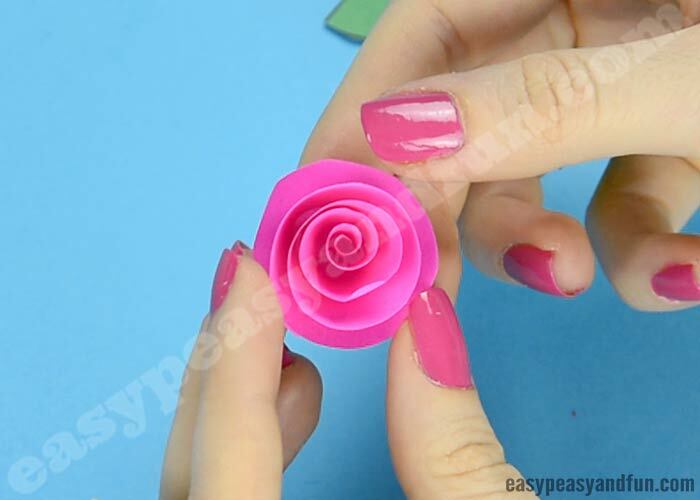 Press firmly (not to firm to not destroy the flower) and voila – you have your rolled little rose. 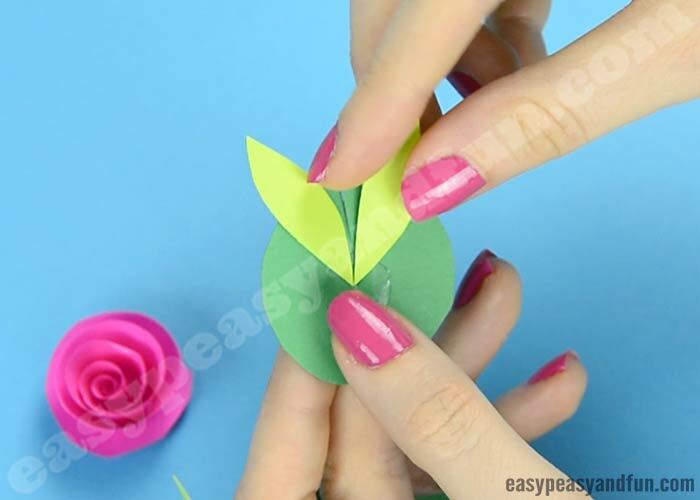 Cut two little leaves out of bright green paper (or skip this, depending on how you want your flower paper ring to look). Now take your green ring base. You will see a dashed line next to the half circle. Cut along that dashed line on both sides. You’ve made two slits along the dashed lines, now it’s time to make the ring. All that has to be done is to slide one slit into the other. Stick another large glue dot on the ring base. 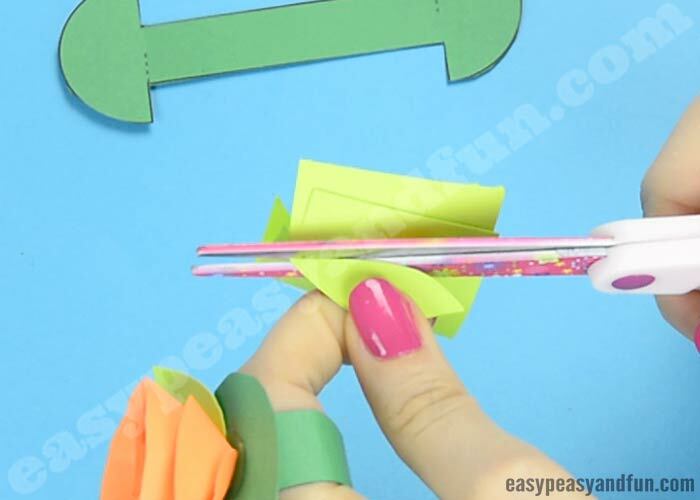 Stick two leaves on the glue dot – on the edge – do not cover the whole dot. 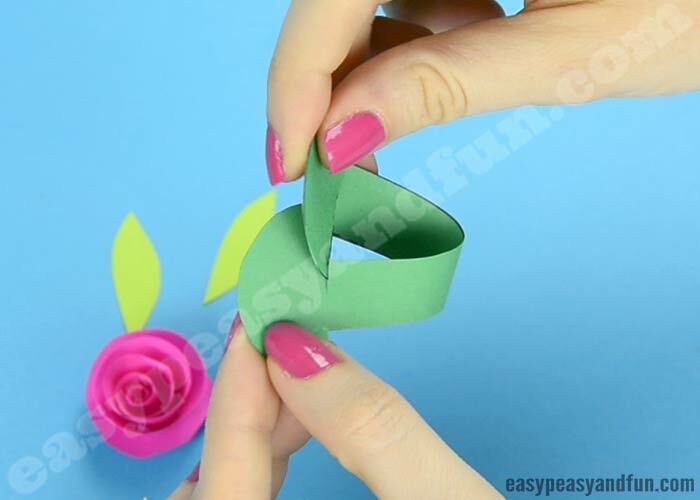 Take your rolled flower and press it on the ring – on the glue dot. All done! All there’s left to do is to place the ring on your fingers. Keep in mind that different brand printers may print the template in different sizes.